The government pressure is taking new turns everyday with people from all professions imposing self-censorship. 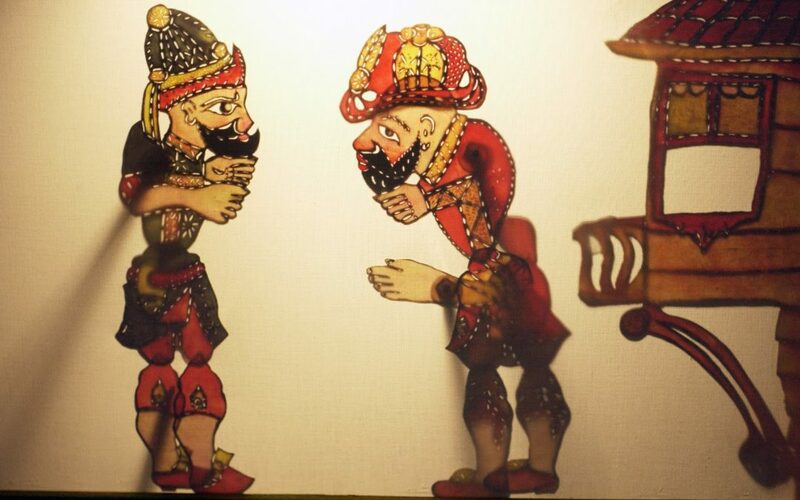 A well-known Karagoz (historic shadow puppet) master who asked to remain anonymous for fear of reprisals told Albawaba news outlet: “I now restrain myself during performances because you never know if someone in the audience will denounce you to the authorities. Below is the full text of the article originally appeared in Albawaba on Dec. 10. “Ercan Aksakal carefully picks up the colored shadow puppet and examines the workmanship with an expert’s eye. It is a model for Karagoz, or “Black-Eye,” the protagonist and crowd-pleaser in Turkish shadow theatre. A coarse, crafty and forthright exemplar of the common people, Karagoz was also a favorite target of Ottoman censors in centuries past. Now again, in increasingly authoritarian Turkey, he’s got to be careful what he says. Rolls of smoothed, hardened leather were lying on a table in front of him. From the leather he cuts out the flat, articulated characters for his shadow plays. Their shadows are cast on a back-lighted screen that is viewed by an audience on the other side. Shadow theatre was a popular form of entertainment in the Ottoman Empire, the former Turkish empire in Europe, Asia, and Africa lasting from the late 13th century to the end of World War I. It was performed in palaces as well as coffee-houses. Karagoz’s foil in the plays is his supercilious, self-serving neighbour Hacivat, a member of the educated class. “The theatre presents caricatures,” Aksakal said. “The characters were a cross section of Ottoman society in Istanbul” – the capital of the empire and then known as Constantinople. Among the many characters were a dandy, an opium smoker and a Greek along with fantastic figures and demons. Aksakal, who grew up in a village on the Black Sea coast, became acquainted with Karagoz via radio plays. Only city dwellers got to see live performances. His small workshop is equipped with all the requisite puppet-making tools, and he’s especially attached to a leatherworking knife. Such knives, he said, used to be sold all over Bursa. “Since professional shadow puppeteers have become a rarity, they’re no longer made in large quantities,” he remarked. To keep the ancient art alive, Turkey’s Culture Ministry is now funding courses for would-be shadow puppeteers. Interest is high. “Sixty people apply for a course having places for just 15,” Aksakal said. A boy peered shyly into the workshop, and the puppet master seized the opportunity to get his opinion. “Can I show you my new character?” he asked, explaining that he was working on a ghost and wanted to make sure it wasn’t too scary. Sinasi Celikkol, one of Bursa’s best-known master shadow puppeteers, said he regretted that Karagoz plays were now performed only for children. “Karagoz is meant to hold a mirror up to society – to be allowed to say anything and criticize anything. The plays gave people the opportunity to vent their anger vicariously. On their behalf Karagoz was able to speak his mind to the powerful,” Celikkol said. Along with satire and criticism of the authorities, sexually suggestive scenes were an integral part of Karagoz theatre. The texts, long passed down by word of mouth, were increasingly written down from the mid-19th century, making it easier for Ottoman censors to excise unwanted barbs and raciness. Karagoz, the little man of the people who refuses to keep his mouth shut, managed to live on nonetheless. And censorship has reared its head once again, says a well-known Karagoz master who asked to remain anonymous for fear of reprisals. “I now restrain myself during performances because you never know if someone in the audience will denounce you to the authorities,” he said, pointing to the numerous lawsuits on charges of defaming Turkish President Recep Tayyip Erdogan. After the proclamation of the Turkish republic in 1923, the government tried a different tack to tame the subversive Karagoz: turning him into a virtuous role model for Turkey’s modernization. To no avail. “Karagoz isn’t meant to manipulate people, but to entertain,” declared Cengiz Ozek, director of the Istanbul International Puppet Festival and a well-known Karagoz puppeteer worldwide. Next year Turkey’s shadow theatre marks its 500th anniversary – it was performed for the first time in 1517 in Constantinople. While television and the internet have largely drowned out Karagoz, Ozek said he hoped the date would be properly celebrated.